This tab is where you store default group numbers assigned to this provider from various sources. Provider Class: You can assign a provider to a class or group. First set up provider classes in the Provider Class List. Then click the down arrow in this field to select a class for the provider. Group Number: Enter the provider’s group number. Medicare Group ID: Enter the provider’s Medicare group number. Medicaid Group ID: Enter the provider’s Medicaid group number. BC/BS Group ID: Enter the provider’s Blue Cross/Blue Shield group number. Other Group ID: Enter the provider’s group number for other insurances. 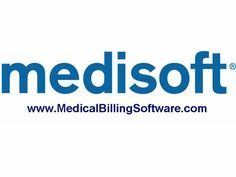 We hope you appreciate our information concerning setting up our practice management software program. Please Contact us at 888-691-8058 or 941-743-6666 for all your technical support or medisoft training needs.